Reading through the pages of this fine magazine you might get the impression that most caravans are around the 6m (20ft) and longer mark. Using that length gives a designer a fair bit of latitude with the layout and mostly offers a reasonable degree of living area. However, even a 20ft caravan does carry a fair bit of weight, especially if it has been built as an offroad caravan and that can be a problem if using a smaller tow vehicle is anticipated. 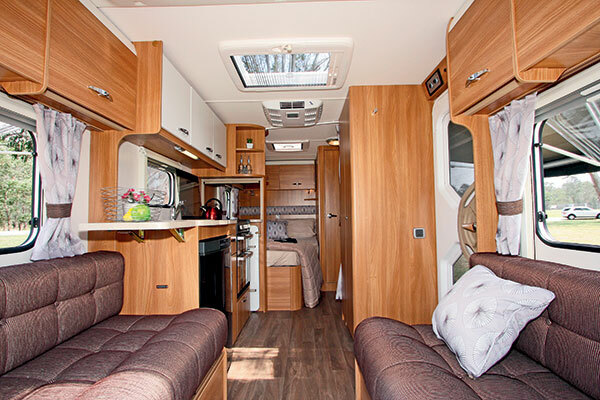 Although there are any number of new caravans being built with a layout that has a front island bed, and a full-width rear bathroom and a kitchen/dinette in between, there are also quite a few living-friendly variations that result in a smaller caravan. Indeed, there a some manufacturers who only specialise in smaller caravans. Take for instance the aptly named The Little Caravan Company (TLCC). Based in the Melbourne area, the shortest van it makes has an external body length of just 2.74m (9ft), whilst the newest model has a length of 3.67m (12ft). Apart from the relatively short lengths, the caravans look conventional and even sound conventional: galvanised chassis, meranti timber frame, aluminium composite panels and in the case of the offroad model, a DO35 hitch. Familiar too are the appliances: Dometic cooktop, 80L Engel fridge, Aircommand air-conditioner and Truma water heater. What’s somewhat different of course is the layout, being far more compressed than is usual and with some layouts the entry door in the rear wall. In the latter case, the door position is often underrated and by doing something simple like having it in the rear wall makes all the difference. 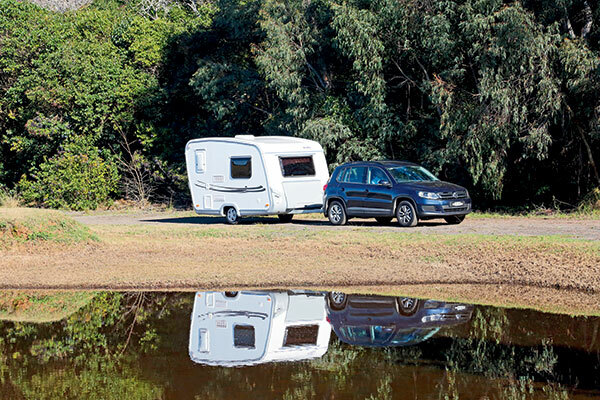 Reducing the caravan width does give less interior space but it’s a much easier towing proposition. 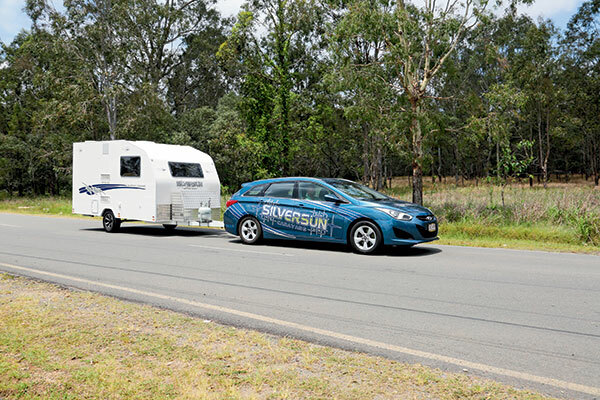 Another manufacturer who specialises in small caravans is Brisbane-based Silversun. It offers a range of vans varying in length from 3m (10ft) to 5m (16ft). 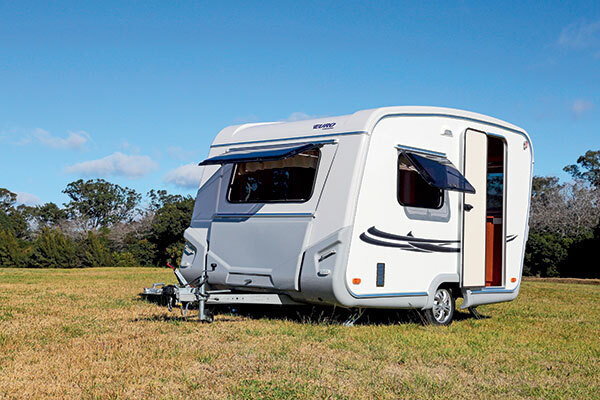 Although the manufacturer focuses on smaller caravan design, getting the weight off is an important factor too. The DuraGal chassis is designed in a fairly conventional box section style but the body is all frameless fibreglass composite and the interior cabinetry is balsa core plywood. Downsizing does not mean all the comforts disappear. In all the Silversun designs, a double bed is available; in the smallest (10ft) van the bed is a drop-down variety, not fixed – there always has to be a compromise somewhere. Most of the Silversun customers have smaller tow vehicles and/or have limited storage space. In Sydney, Euro Caravans has taken a different path. 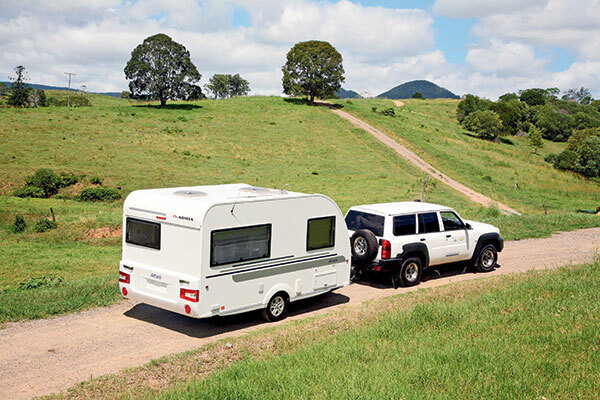 All its caravans are Polish-built with German components and most importantly, Australianised. They are very small – the NR Freedom for instance having an external length of 3.75m (12ft 4in) and a width of 2.3m (7ft 7in), along with a very light Tare weight of 870kg. The Sunseeker weighs in at even less with a Tare weight of just 550kg and a length of 3.2m (10ft 6in). They are of course very small vans but do come with all the basics, including a small bathroom. Being fully Euro-built, they come with an AL-KO chassis and a fibreglass body – all designed to keep the weight down. European-built caravans have a slightly undeserved reputation for not being suitable for “Australian conditions”, however that might be defined. In the course of researching this article I came across a solo female caravanner who purchased one of the early imports of the Slovenian-built Adria Altea vans. The predecessor of the current Altea 402PH model, it had an external body length of 4.77m (15ft 8in) and a Tare weight of just 1200kg. My contact was very effusive about her caravan, had no problems with it and told me that for a solo traveller the van was easy to handle, both when towing and when setting up. European and British caravans are not represented in large numbers in this country, think Swift and Elddis in addition to those already mentioned. Visit New Zealand, only a few hours away rather than more distant Europe, if you want more of an idea of what’s available. 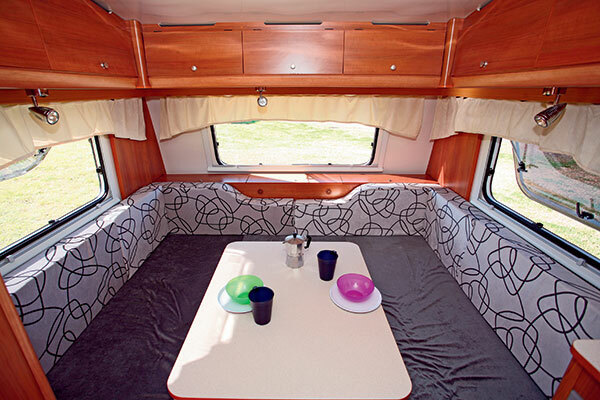 There is one thing for sure that the Euros and the Brexit mob are very good at: using space very effectively, which means they can build small and lightweight caravans. In the something a little different department, but still staying relatively small, are two companies who build retro-looking caravans. Both SE Qld-based, Jackaroo and Jive take caravan travellers back to earlier times but with all the mod cons. Jackaroo for instance build an old Viscount lookalike van that measures 5.2m (17ft 1in) and has a Tare weight of 1500kg. The layout is slightly different to the usual but is very workable with all the latest appliances. Jive on the other hand, build its 3.66m (12ft) and 4.27 (14ft) in the old bondwood style but of course use slightly more modern construction materials. Like everyone else mentioned here, it has retained the old-fashioned feature of relatively light weight. 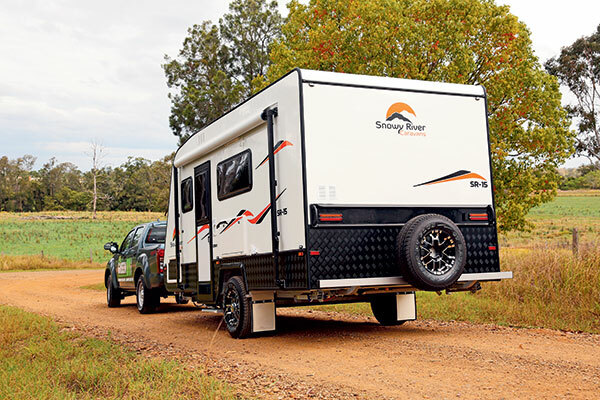 Although not strictly caravans, a number of camper trailer manufacturers like Australian Off Road or Lifestyle Camper Trailers have branched into hybrid campers. That is a rig that has camper trailer origins but a hard-shell body. They too come fully equipped with at least a double bed, full cooking facilities, a fridge and often a pop-top roof or slide-outs. Apart from anything else, the hybrids are of interest to anyone interested in offroad travel but with a relatively light trailer. Mentioned above are mostly manufacturers/importers who specialise in smaller caravans. However, there are plenty of manufacturers who do have smaller/lighter weight vans in their range if you hunt around. Think Jayco and Avan for instance. Also Jurgens, whose European and South African heritage produces relatively small and lightweight caravans that are built in Australia. 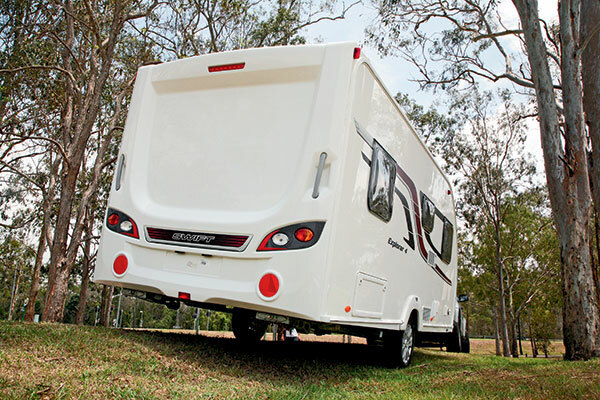 Single-axle caravans like the recently released Snowy River SR15 are also appearing in numbers. However, there are also less obvious manufacturers too like Bushtracker. Well known for large, heavy offroad caravans, it does have a 4.27m (14ft) pop-top in its range. It does have a Tare weight of 1820kg, which makes it heavier than just about anything else here, but it’s great for handling undulating narrow bush tracks. 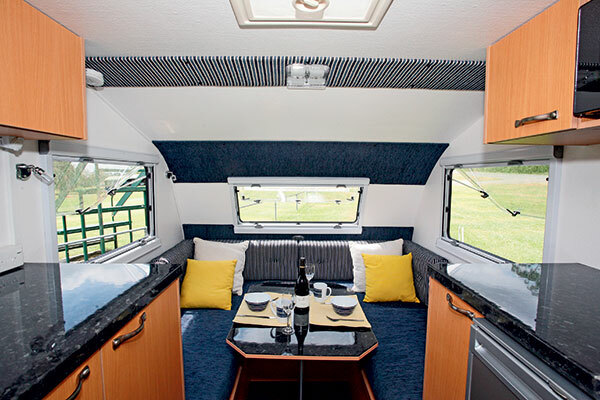 It depends very much on your own personal preferences but a bit of hunting around in the veritable forest of large caravans will reveal smaller caravans in a variety of lengths, all with the essentials that a modern-day caravan should have – even the retro ones. Since several manufacturers I talked to suggested that many of their customers are downsizing from larger vans, it may well be a welcome growth area in the RV industry. You can find the full feature in Caravan World #560. Subscribe today for the latest caravan reviews and news every month!